NEVER underestimate the POWER of having vision. 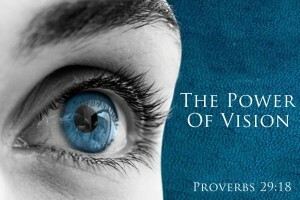 Vision is the ability to see your purpose and your dreams and your desires and your tomorrow, today! Most people in their life are unable to see beyond their current moment. And when they attempt to see beyond the moment they mistakenly look in the past at the current mishaps or past mishaps their life has presented. This causes an uncontrollable vicious cycle of living in the past and recycling BAD experiences. It is frustrating and will lead to an unsatisfactory life. If you want to get around this conundrum, you must learn how to have vision and see it very clearly EACH day. The moment you lose it, is the moment you perish. Visions begin with the life you daydream about or things you see yourself doing but seem too hard or out there to actually go and do? MY PROBLEMS ARE RELATIVELY SMALL!